We set out to build a unique educational institution, where your child’s artistic talents are nurtured as vigorously as his or her academic abilities. 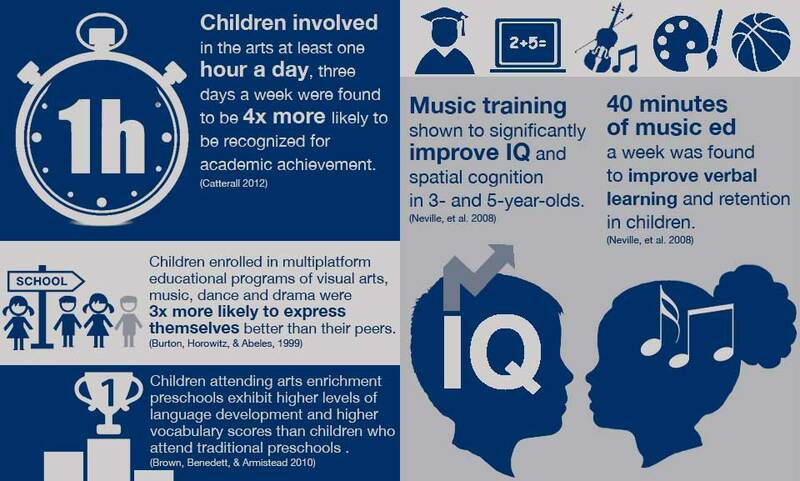 Our research-backed system aims to cultivate your child’s cognitive and motor development through daily exposure to an arts, academic, athletic and bi-lingual curriculum. As early education is fundamental to youth brain development, we discard the cookie-cutter approach to traditional early childhood education. 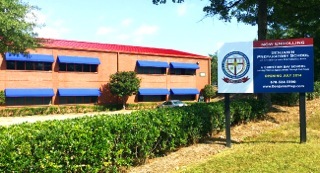 Our DECAL-licensed learning atmosphere is reinforced with non-denominational, Christian-based principles. Age-appropriate praise, worship and Bible-study are incorporated into our daily routine. In addition to fostering spiritual fundamentals, we help to establish the groundwork for your children’s physical health with daily physical activity and a well-rounded, nutrient-dense diet. 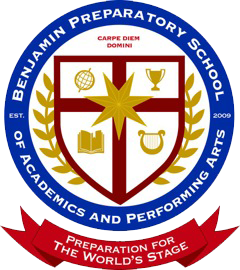 Click to hear stories about Benjamin Prep from our parents. Not only do we set out to cultivate your child’s natural talents but we aim to build a foundation for life-long confidence and academic excellence. With emphasis on love and attention, we plant the seeds to bloom your child intellectually, socially, emotionally, physically and spiritually. 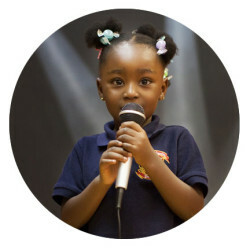 Through proven principles and multidimensional learning, your child’s preparation for the World’s Stage begins here. 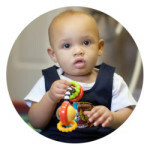 Tiny Dreamers (6 weeks-12 months) Our infant suite is a nurturing environment, which keeps babies warm, safe and happy. Tiny dreamers are encouraged to be active every day, to explore the world around them and to interact with others through music and movement, story time, art and instrumentation. 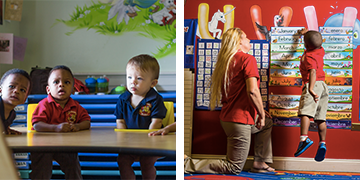 Tiny Dreamers instructors conduct activities to stimulate brain development, encourage communication and build essential motor skills. Tiny Tappers (12-24 months) These tots start their journey exploring the world on their feet. 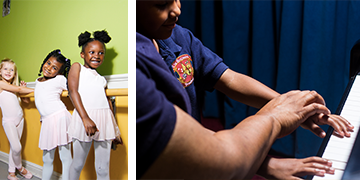 Tiny Tappers continue to develop their musical skills and begin their dance and athletic instruction. 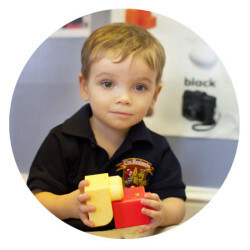 They explore our engaging environment and discover their academic and creative interests. Tiny Tappers fine tune their motor skills while learning the fundamentals of literacy, athleticism and musicianship. Tip Top Toddlers (2-3 years old) These little ones head straight to the top of the class as they further develop the verbal skills that allow them to show off their new world of learning. 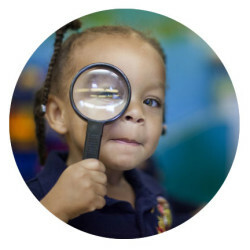 Tip Top Toddlers begin their lifelong love of books by honing their reading readiness skills and become increasingly adept at mathematics concepts. These toddlers strut their stuff as boys are introduced to their first tap class and girls learn the fundamentals of both tap and ballet. Shooting Stars and Show Kids (Pre-K thru K) This program brings together a multitude of exciting activities, fostering a love of learning and the arts. Students are taught the academics required for a seamless transition to grade school while gaining the added experience of more in-depth foreign language instruction, stage performance, math and science, artistic expression, speech performance, dance and more. Show Kids put on several performances during the course of the year and participate in preparing their own original works for the stage. Show Stoppers (Grades 1-2) Accepting enrollment for 1-2 grades. *After-school and private sessions are available for ages up to 12. 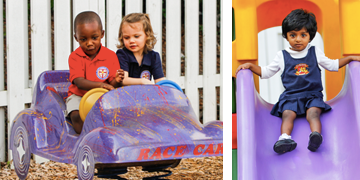 We create a nurturing, safe, loving and Christian environment, which prepares each child for the world’s stage intellectually, socially, emotionally, physically and spiritually while developing a life-long love for learning. Please take a moment to complete the form below, so a member of our supporting cast may contact you to tour Benjamin Preparatory School.